Today many unsolicited sales calls go unanswered. Sales managers and modern sales and marketing professionals are up for a bad time against potential customers and savvy buyers who have easy access to detailed product or service information on the web and through social networks. Everyone is connected to the latest information. Buyers today are pretty good at blocking your calls and emails, through Caller ID, email spam filters and they can easily send your email to its grave with a simple click on the delete button. Can they? Based on what clients are telling me, I believe the answer is no. 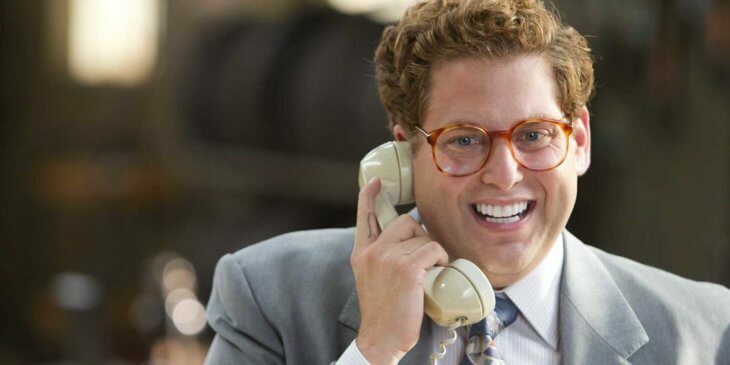 Given how the Web has empowered B2B buyers, is cold calling still relevant in the Internet Age — and are companies still generating a return on investment (ROI) on it? With other lead generation activities on the rise, like paid search and content marketing, can cold calling strategies help marketers stand out from the noise? Can inbound marketing and analytics help us better decide who to cold call and when? Understandably, every panelist agreed that cold calling (in its original form) is decreasing significantly in effectiveness. Furthermore, there is no excuse for business calls to be random and unsolicited anymore. In the words of Anneke Seley, Founder, and CEO of Reality Works Group, “in this day and age, there’s no excuse for a call to be cold anymore.” Anneke – you are right on! I read a Selling Power poll in which 47.76% of sales reps said that they were never prepared for the initial conversation with a prospect and 2.81% said that they were rarely well prepared. That, my friends, means that 50% of the sales reps out there either can’t or won’t take the time to do a little homework before engaging with their prospect. And that should be enough motivation for companies to expect their salespeople to approach prospects differently. When you can turn to LinkedIn, Twitter, Google+ and Facebook, and it is SO very easy to find out information about your prospect before you pick up a phone, why aren’t more sales reps doing it? Your prospects, by the way, are using similar channels to learn about you before committing to a call. Mike Volpe, CMO of HubSpot, thinks marketers can take it one step further and not even waste time reaching out in this manner. Volpe believes that the world is shifting away from any type of outbound marketing – I respectfully disagree Mike – and that your inside sales team should only reply to inbound inquiries because you already know that they have an interest in your product or service. Meanwhile, Volpe explains that inbound marketing tactics like SEO and PPC that are significantly cheaper than doing things like employing a great sales rep to make outbound calls. And he says it’s also a much less invasive approach to contacting buyers. Sounds good but are all inbound inquiries created equal? I’m probably not the only one who likes to benefit from all the free informational content out there. I may have downloaded a white paper on your website, which many marketers would term an “inquiry” but that does not mean that I’m a qualified buyer. In defensive of Hubspot, they are pretty savvy in terms of knowing when salespeople should engage with someone who proactively entered their world, but I would say that a lot of companies still are not at Hubspot’s level of sophistication. One point each panelist could agree on was that lead generation is shifting toward a permission-based model of marketing. This means marketing will need to evolve into being about showing buyers the value to them in doing business together and ultimately getting them to come to you. If you aren’t demonstrating your value in a tangible way, then buyers will increasingly overlook your company; ignore your marketing efforts and move onto the competition. It was a great discussion among thought leaders that I admire and follow. I’m curious. What are your thoughts on the evolution of outbound and inbound selling and marketing? Share your thoughts and comment below. Want to continue learning about cold calling Check out our post How to Write the Perfect Cold Calling Script. Barbara Giamanco is a globally recognized thought leader in Social Selling, Social Media Marketing and Social Business. She’s the co-author of The New Handshake: Sales Meets Social Media and the Harvard Business Review article Tweet Me, Friend Me, Make Me Buy. Barb is consistently a Top 25 Influential Leader in Sales, a Top 25 Sales Influencer on Twitter and one of Top Sales World’s Top 50 Sales and Marketing Influencers.